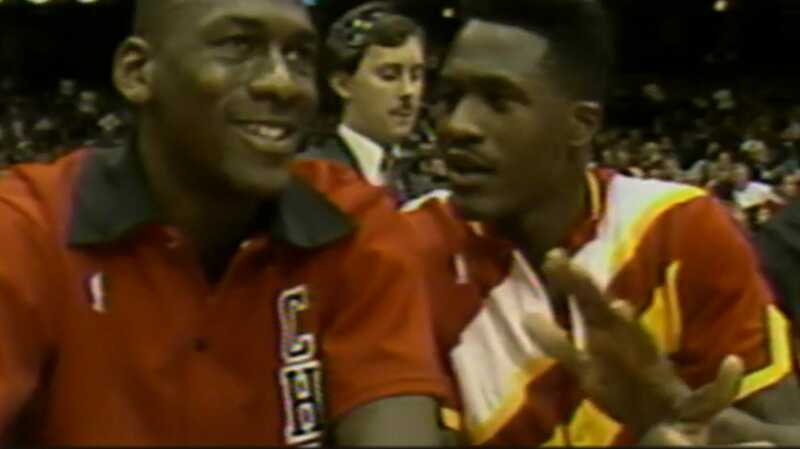 NBAMichael Jordan and Dominique Wilkins before the 1998 Slam Dunk Contest. Michael Jordan won the 1988 NBA Slam Dunk Contest in what is widely considered the greatest dunk duel of all time. The event was great, but there was also controversy as many felt ‘Nique was robbed with a low score on his final dunk. Jordan won the contest with a 50 on his final dunk as he flew through the air from the free-throw line. It has been over 30 years since the 1988 NBA Slam Dunk Contest and many still consider it the best dunk duel of all time when Michael Jordan defeated Dominique Wilkins with a 50 on his final dunk from the free throw line. The contest was spectacular, but it was also controversial as many people felt Wilkins was robbed by the pressure of Jordan’s hometown crowd. Below is a look back at every dunk by ‘Nique and MJ. The competition started with seven players and each got two dunks in the first round. Jordan scored a 47 out of 50 for this. Wilkins scored a 49 for this. Jordan closed out the opening round with a 47. Wilkins got a 47 as well, and they both moved on to the semifinals. Many forget that Jordan actually used the free throw line dunk to open the semifinal round where each player got three dunks. He got a 50 for it, obviously. Wilkins wasn’t far behind with a 49. Here’s Jordan’s second dunk of the semifinals, a 48. These videos don’t do Wilkins justice for just how much power his dunks contained. He got a 47 for this. Jordan scored a 47 on the final dunk and won the semifinal round with 145 points. Wilkins finished with a 143 (also getting a 47 on his final dunk), and they both moved on to the finals. Jordan and Wilkins had three dunks in the finals and both started big. Wilkins went first and scored a 50. And Jordan followed it up with a 50 of his own. Jordan fell behind on the second dunk when Wilkins unleashed another 50. 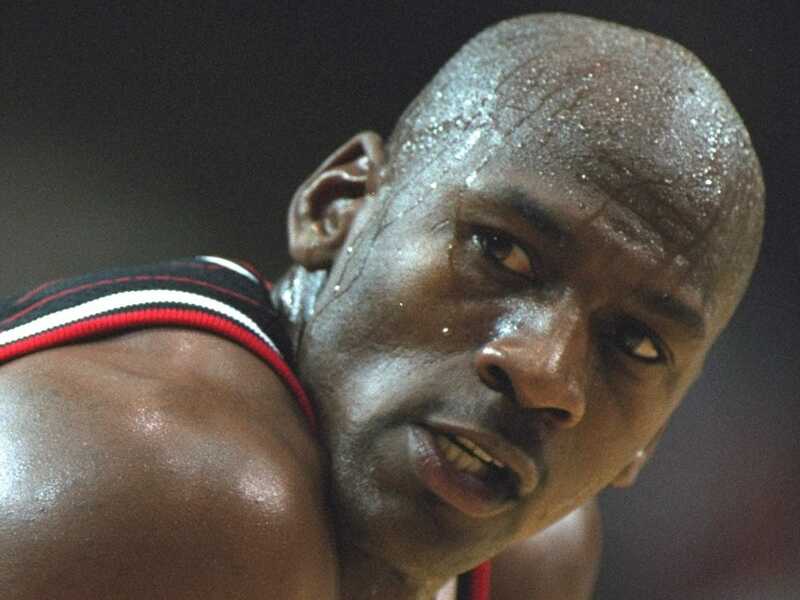 MJ could only come up with a 47. Controversy struck on Wilkins’ final dunk when he was given a 45 for this dunk. Did the Chicago fans sway the judges? Jordan tried another free-throw dunk (something usually frowned upon), but missed his first attempt. With a do-over, Jordan needed a 49 to win and he came through with his second free-throw-line dunk and won the epic battle.